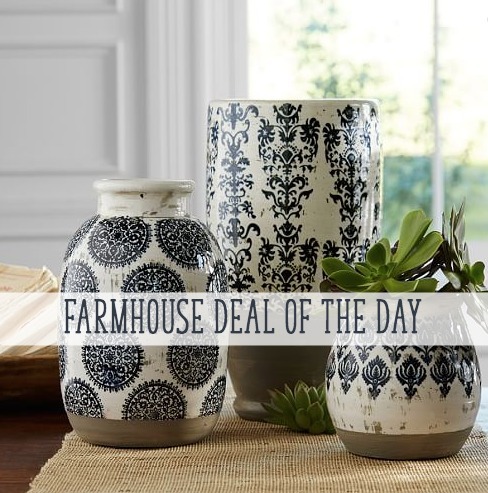 The week’s best farmhouse finds, home decor inspiration, decorating advice, spring decor ideas and healthy family living. Affiliate links are included for your convenience – full disclosure here. Well JUST as I said it was starting to feel like spring, the east coast got dumped on with TWO storms in the past week. It was a crazy one! But even though it’s still winter outside, I’m thinking about all things SPRING inside! 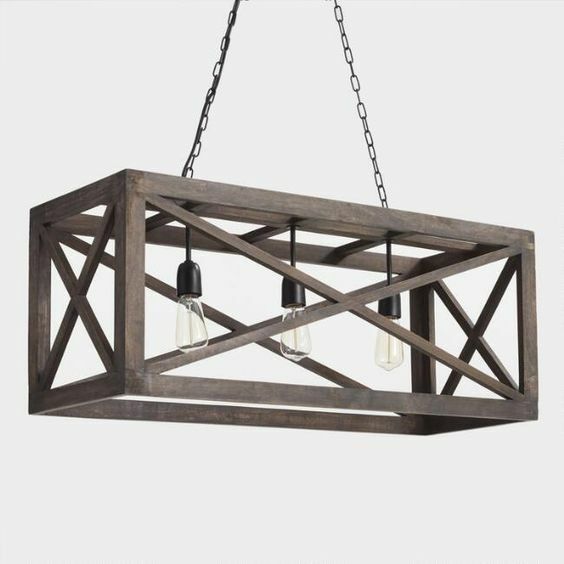 This light goes out of stock VERY quickly every time it comes back in. It’s a really substantial size, and it would look so great over a dining table. Shop it here. These vases would look so beautiful for spring! Use the code “SAVEMORE” to make them more affordable – shop them here. 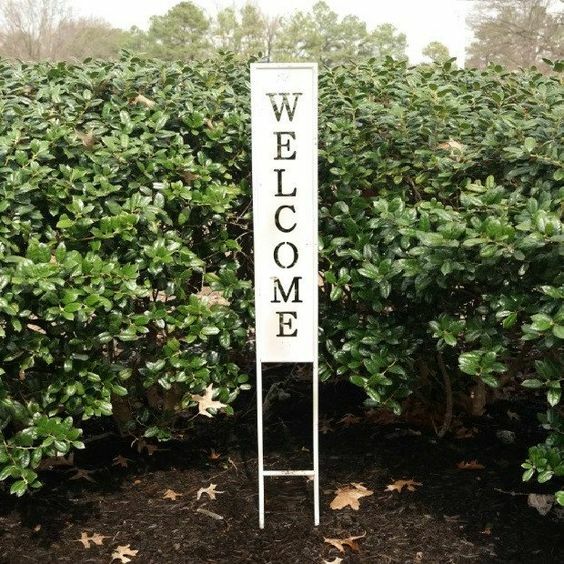 This garden sign has me SO excited for getting outside and decorating! I love the height, how perfect would it look in the front garden of your home? Shop it here. I share these deals as I find them on my Facebook page – are you following along? We just hit 36,000 likes this week and have an amazing community over there! 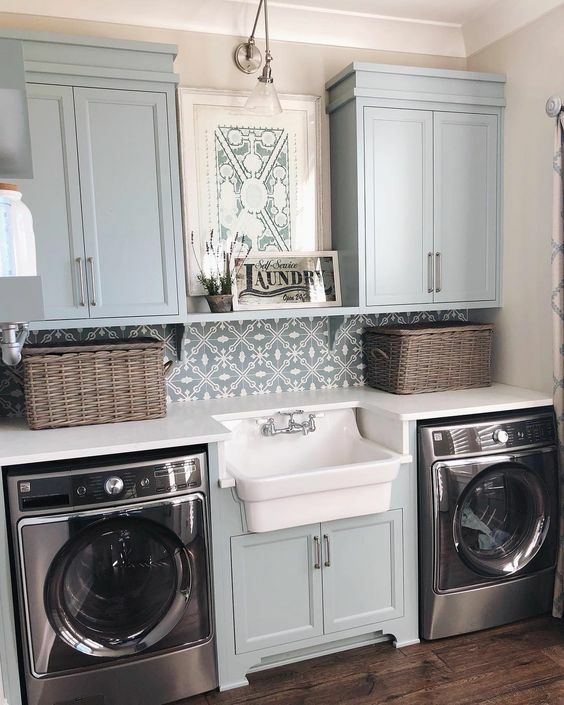 This laundry room has been going crazy on my Facebook page this week! And with good reason – it’s absolutely perfect! I love it so much – see this picture on the designer’s Instagram page here and make sure to visit her website here. Jessica’s Instagram is one of my VERY favorites. She’s so talented and has incredible style! 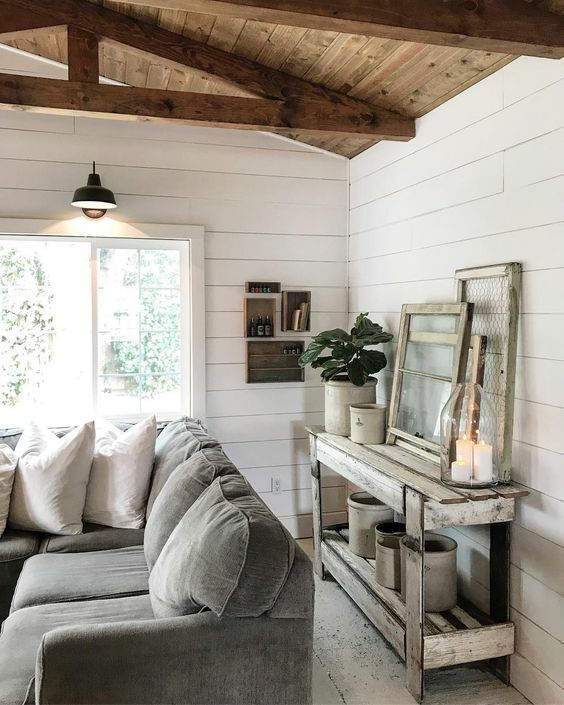 Her living room is simply perfection – you guys will love following her! 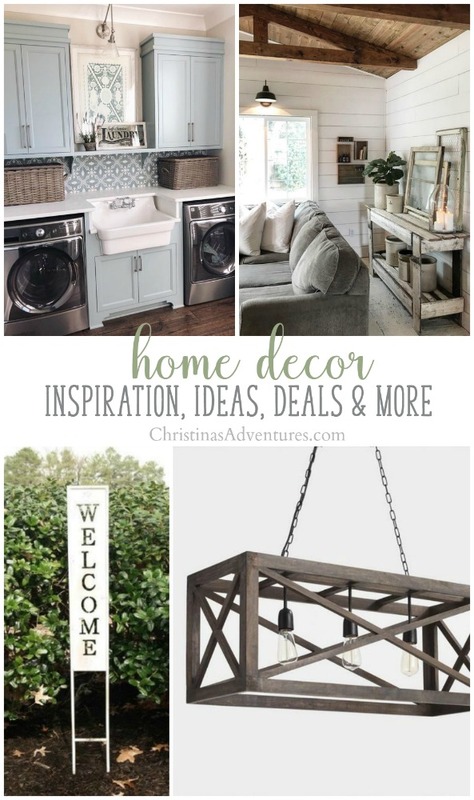 I’ve gathered up the BEST spring farmhouse decorating ideas in this post – it’s filled with beautiful inspiring images from some of my most favorite bloggers. Make sure you check out the whole article here. Love a gallery wall, but it feels a little too permanent or restrictive? We made these DIY picture frame ledges and they’re a GREAT way to display pictures and prints in frames, but still have the flexibility to switch them out frequently. It’s a very inexpensive way to add interest to a narrow hallway, and add loads of interest and texture. Click here to see the very simple tutorial! It’s been a longgg week of staying home, losing power, shoveling snow and doing all the inside activities. We’re ready to get back to “real life” around here! Let me tell you – this stage of having two kids ages 2 & 4 (almost 3 & 5) is a crazy one. The kids are so fun, they love each other SO much but they’re also fighting like CRAZY. Nora’s not so quick to let things go anymore, and she’s discovering how to verbally fight back. Yikes. I mean, I’m happy to raise a little lady who’s got a strong backbone, but it doesn’t make our daily lives any easier – ha! I constantly pray that I can parent these two strong personalities and shape them to do big things for other people someday. We’re planning out our next “Crafting for a Cause” weekends for the spring – can’t wait to share the projects I have planned for this spring! I’m planning on doing 3 more before the baby comes in June! Slow cooker steak fajitas: super easy weeknight recipe that we all loved! We put them in crunchy taco shells and topped with cheddar cheese, black beans, tomatoes and avocado. We’ll definitely make this again! Creamy mushroom bacon chicken thighs: we’ve made this Whole 30/Paleo recipe a few times now, and it’s really good! We made it on a snowed-in day and it’s a great comfort food thats still healthy. We had sweet potatoes & cauliflower “rice” as sides. Keto cashew chicken: This recipe is super simple and really delicious. The roasted cashews are my favorite! I think it’s a little sparse by itself, but it’s a really good recipe to add whatever leftover veggies you have in your fridge. We added broccoli, mushrooms and an extra bell pepper to ours, and topped with riced cauliflower. Lemon butter chicken: This recipe was a new one for us this week and it was really good! We used chicken thighs instead of chicken breasts because that’s what we had on hand, but otherwise didn’t modify the recipe. We had cauliflower and broccoli as sides and it was delicious! I’ve been dealing with increasing my insulin as my hormones increase and my pregnancy progresses – and now just started on Metformin as well. I was discouraged about this (I’m doing everything I possibly can to control it through diet) and I found great wisdom and comfort in the book I’ve been reading lately. If you’re dealing with gestational diabetes or know someone else who is…this is a book I would recommend 200%! Your blog has become one of my favorites! 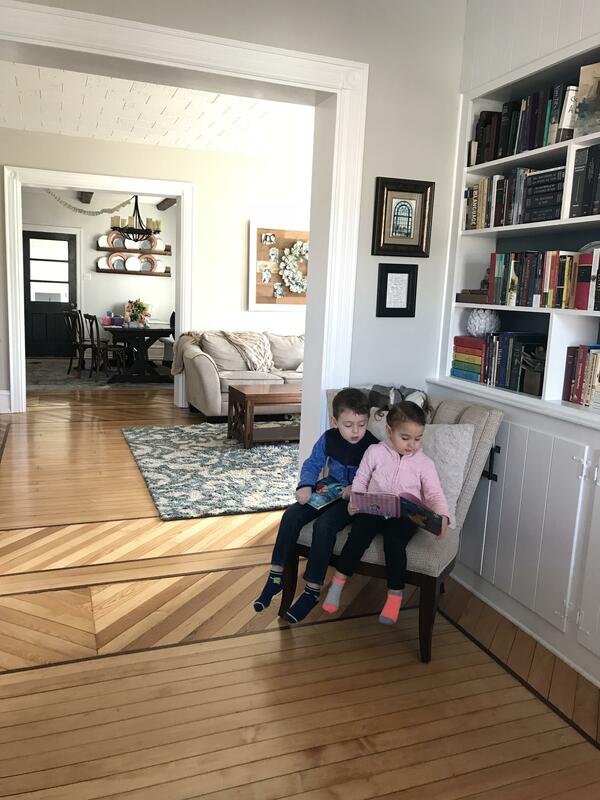 I really admire you for stepping up your blogging game while raising little ones. No doubt that the preschool years are the hardest until you get to middle school, that is:). Thank you for sharing healthy recipes, and giving us a peek into your sweet family’s life. I’m praying that all will go well with your pregnancy! If you haven’t checked out andreadekker.com, she has little ones about the same age as you and a lot of good ideas as well. Jeanine! Your comment made my day – thank you SO much for your kind words!! The preschool days are super sweet and also super long – and I’m SO not looking forward to those middle school days!! Ahh! 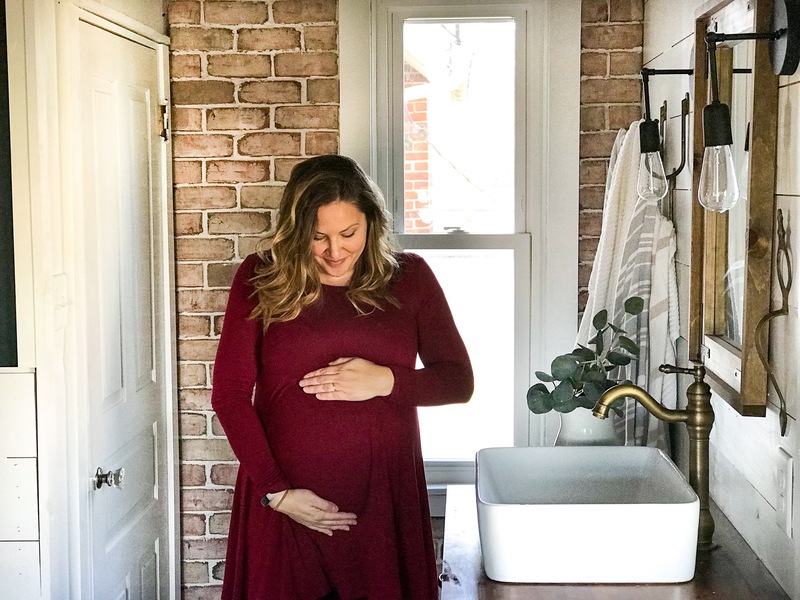 I chose these darling farmhouse bathroom vanity lights from our favorite light company after installing their Wesco pendants hanging in our entryway and down the hall. 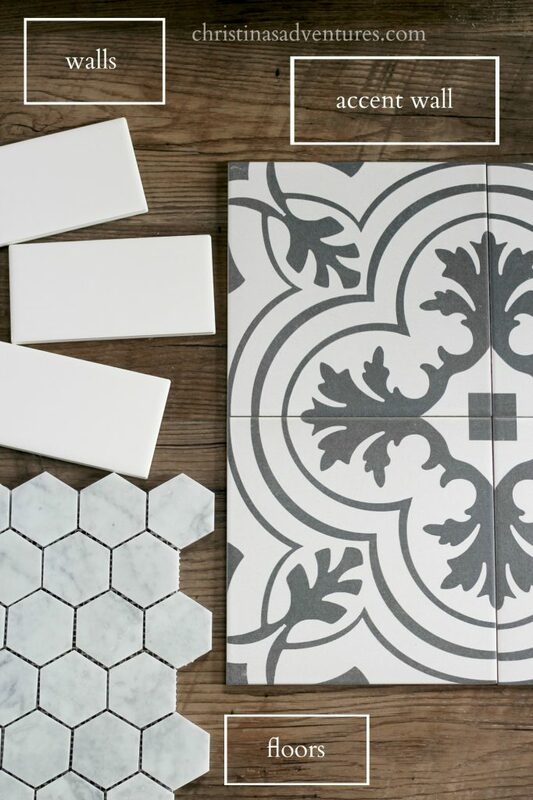 We love the character they add to our old farmhouse.